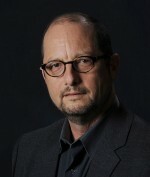 Meet Bart Ehrman, NY Times best-selling author of a run of books written to point out the flaws, weaknesses and inherent failures of Christianity. As professor of Religious Studies at the University of North Carolina at Chapel Hill, Bart knows his stuff. He particularly knows, by his own admission, how to take apart the fluffy, cloistered faith of 19-year olds whose ideas about God have never been reasoned through. The simple, sing-a-song-on-Sunday-morning kind of faith Christian teens often live by is no match for Bart’s learned and well-formulated insights on textual criticism, the historical Jesus, how the NT developed, and the like. And here’s the thing: his books, tours, televised debates and star-status presence is permeating colleges, schools and lecture halls world-wide. His ideas are in. And according to himself and those in his coterie, every honest scholar agrees with his findings. Yep, that’s his claim. Every now and then academia throws up a tour de force, some bright luminary under whose spell the world seems to bow. Now it’s Bart Ehrman’s turn. People – young people – and influencers are buying into his skepticism by the book load. The problem is that our teens and college students are not generally equipped by churches to reason through their faith in a way that can grapple with Bart’s premises. They’re easy pickings at any college where some atheist lecturer – fueled by Bart’s fire – feels called to enlighten them. Right now, in our times, schools and colleges are the war zone and Bart is leading the charge against Scriptural integrity. 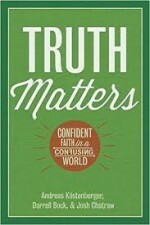 Enter Drs Darrell Bock, Josh Chatraw and Andreas Kõstenberger with a nifty little book called TRUTH Matters – Confident Faith in a Confusing World. The fight is on. And, I’m glad to say, Bart Ehrman’s confident arguments turn out not the final word he claims them to be. why is there suffering and does God care? how do we know Jesus rose from the dead? 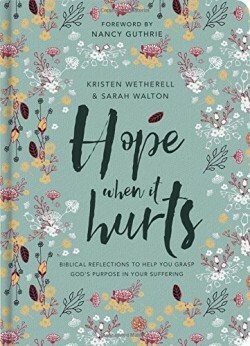 This is extremely helpful, timely reading designed to give your teens and college-goers reasons for their faith. Tools for tackling Bart’s arrows. They show in quick strokes that Bart’s interpretations are selective and actually conceal a lot more than they reveal. Sort of like a tour guide choosing what antiquities they’ll show you, and want they choose to ignore. To coincide with Dr Darrell Bock’s lecture visit to the website. This special offer expires end of July, or as long as stocks last. A timely book to encourage our men this Father’s Day. 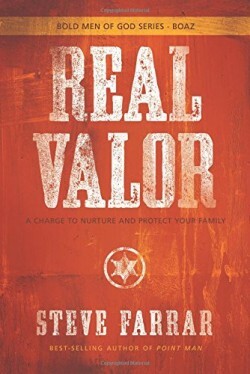 Real Valor is classic Steve Farrar. It’s punchy, masculine, and peppered with little-known or quirky scenarios to flesh out his premise. This book is the third in the Bold Men of God series written to encourage men to rise up and shepherd their families. Essentially, Farrar looks at the life of Boaz and how his responses to the pressures of a tough world ensured that the new family in his life, Ruth and Naomi, were blessed. Ultimately, thanks to his principled decision-making, his actions led to the Messiah coming through his lineage. Farrar looks at how Ruth and Naomi were initially cursed with the results of Elimelech’s poor choices. As Naomi’s husband, his bad decisions took them out of God’s blessing and into the rewards of disobedience. Boaz, on the other hand, based his decisions on God’s revealed principles and reaped His blessings. He faced the same pressures that Elimelech did (think drought, famine), yet didn’t try to escape them. As usual, Farrar frequently illustrates from his own life and experiences. It makes for highly accessible and engaging reading. I recommend this book for those wanting to encourage their husbands and dads to stand strong. In our times of extreme moral decline, our men need all the encouragement they can get, and Farrar shoots straight. Being a mum with 3 little kids, I wasn’t sure when I’d be able to fit in reading and reflecting on this a book. But when it arrived in the post, not only did I devour it’s 60 pages in one short sitting, I found myself rereading bits and excitedly texting them to a friend. I also felt compelled to pray for opportunities to give this to a few people who I think would benefit from reading it. Capturing God is a great book to read if you’re a new Christian or if you’ve been a Christian for a long time. We never graduate from needing to remember what Jesus did on the cross, and why it matters. One quote I’m going to print and stick on our fridge is “God did not hang on the cross to tell us to earn life” (p37). It’s also a great book to give to non Christians, especially someone who is keen to investigate the claims of Christianity. 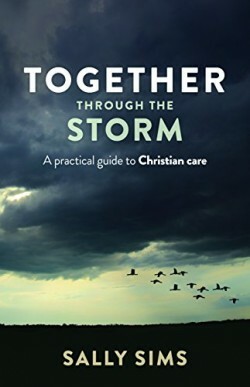 Tice has thought about this, and on the Good Book Company website you’ll find some extra resources to help you use this book well as an evangelistic tool. Maybe your church could give this to visitors? Capturing God is a short and easy read, about big and important topics. 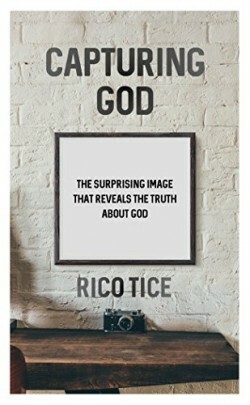 Tice helps to remind us of the great truths of the gospel, that “God has offered you one picture of himself, that captures his essence. His integrity. His plan. His welcome. His justice. His forgiveness. God is offering you peace with him and power from him. He’s the God who you need, and he’s the God who is there” (p62). One couple’s story of hope and healing among the poor. Tich Smith grew up in a middle class home, where he played rugby and cricket Kwa-Zulu Natal, and went on to represent South Africa in the cricket arena. His sports career derailed at the age of 35 due to alcoholism and a gambling addiction. Joan had recently lost her husband. 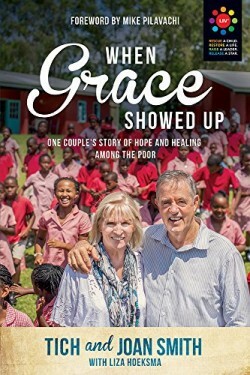 Their lives were at rock bottom when grace showed up and inspired the to move past the racial prejudices of thme Apartheid era and launch a ministry together. The result was Lungisisa Indlela village (LIV), the legendary residential facility that rescues children, restores lives, and raises young leaders in South Africa. This is the story of transformed lives – both theirs and the orphans – as a country begins to embrace grace and love others as Christ loves the church. This book is short. Super short. Don’t get me wrong – it is good to read long books. But sometimes life means a short book is in order. And at 54 pages this one still packs a punch. If we gave books a value-per-page score, ‘Can we talk about Islam?’ would be 9.5/10. I am no expert on Islam. To be honest (to my shame) this is the first book I’ve read specifically on how to talk about Islam. And it was so clear and so helpful! 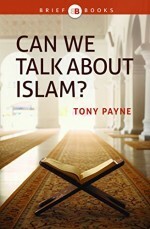 In his third chapter Tony Payne summarizes the key teachings of Islam, comparing them to Christianity. For example, in Christianity, the problem is our rebellion against God (sin) and hence the solution is atonement to restore a personal relationship with God. Yet in Islam the problem is ignorance or weakness and so the solution is guidance through the prophets (particularly Muhammad) in order to enable submission to Allah. There’s also a really helpful summary of the diverse strands of Islam. It left me feeling much better equipped to avoid caricatures which depict extremist groups like ISIS as either representative of all of Islam or none of it. For the first thirty-five years of his life, J. Warner Wallace was a devout atheist. After all, how can you believe a claim made about an event in the distant past for which there is little forensic evidence? Then Wallace realised something. Christianity was a lot like the cold cases he solved as a homicide detective – it makes a claim about an event from the distant past for which there is little forensic evidence. 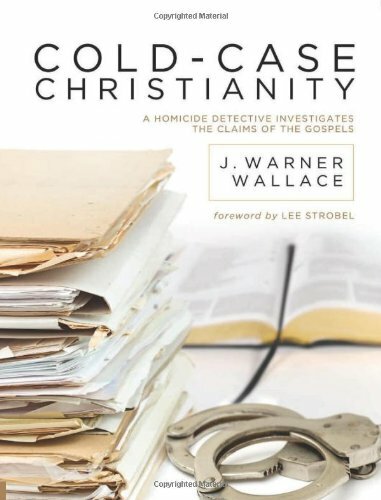 When Wallace applied his skills as an expert detective to the assertions of the New Testament, he came to a startling realisation – the case for Christianity was as convincing as any cold case he had ever worked as a detective, with evidence, eyewitnesses and records to solve. This book includes gripping stories from the author’s career and the visual techniques he developed in the courtroom. Wallace also uses illustrations to examine the powerful evidence that validates the claims of Christianity. 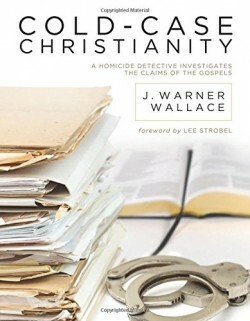 Warner is a unique apologetic that speaks to a readers’ intense interest in detective stories, and inspires readers to have confidence in Christ as it prepares them to articulate the case for Christianity. Journeys have provided rich material for writers over the centuries; from Homer’s Odyssey, to Tolkein’s The Hobbit (or, There and Back Again), to de Botton’s The Art of Travel. Journeys are both the reality and the metaphor for the human life. It is no surprise then that Tom Wright begins his book (which is really a series of lectures) by describing two types of journeys. He is, in fact, quoting someone else (Dr Jonathon Sacks) when he does this, identifying the GPS type of journey, where we are given directions to where we are going; or the ant journey, where we follow each other aimlessly, ending in catastrophe. Wright’s question at the beginning of the book is, “Will the church, and the world, do the satellite-navigation thing or the ant thing?” (2) He examines this question in terms of three challenges: Gnosticism, imperialism and postmodernism. 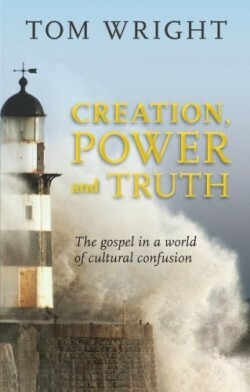 These challenges, while considered from a contemporary viewpoint, are shown by Wright to, in fact, have been challenges that the world and the Church have faced since the Gospel was first proclaimed. Wright states from the beginning that he is using a Trinitarian framework to consider the three challenges which he has outlined. In short a Trinitarian framework seeks to examine an issue through the relationship of the Godhead (such as we saw in the Balswick’s The Family), with particular focus on how Christ reveals the Father and the Holy Spirit. Wright is clear to point out that the Trinitarian framework was not imposed, but came about through biblical exegesis (4). This is certainly the preferred method of scholarship, as described by Gerald Bray in his essay ‘The Trinity: Where do we go from here?’ in Always Reforming (ed. ATB McGowan). This book is quite short, and, as a result, raises more questions than Wright has room to answer, and there are certainly some difficulties with engaging deeply when much is assumed. However, in this it is important to remember two things. Firstly, that the book is based upon three lectures given at Harvard University in 2006. Thus being tied to a particular audience and context, and as the Noble lectures were founded “to arouse in young people, and primarily in the students of that great university, the joy of service for Christ and humanity, especially in the ministry of the Christian Church” (as quoted by Wright in the Preface, xii), they have specific purpose. And secondly, that given the book’s brevity we need to be generous to Wright in our judgements. I must admit that there were times in my reading that I wondered if he had wandered into having an over-realised eschatology, but this was more to do with my haphazard reading over a period of time; it is much clearer when read in one sitting. I hope, as we look through each of the challenges which Wright outlines over the coming weeks, that we would be able to see how the Gospel of Christ is our story, our journey. And that, as we walk the life of faith in Him, we would be challenged to confront our own views on creation and new creation, power and authority, truth and justice. Contemporary Christians and the spiritually interested in particular need to know why the New Spirituality ideas, presented by popular celebrities such as Oprah Winfrey and Deepak Chopra attract, and how Jesus alone provides a guide through this perplexing welter of beliefs, lifestyles, hopes and aspirations. 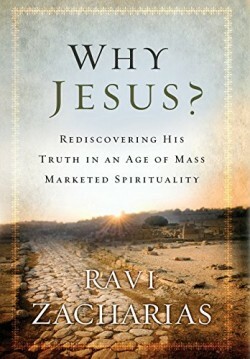 In this brilliant and compelling critique of the dangers of the New Spirituality, Christian apologist Ravi Zacharias applies some vigorous therapy to counter this assault on rational thought and shows why the uniqueness of Jesus matters. It is a compelling argument for anyone looking for the truth about the New Spirituality and who Jesus really is. And more importantly why it should matter. Remember the thrill of winning at checkers or Monopoly? You become the Master of the Board – the victor over everyone else. 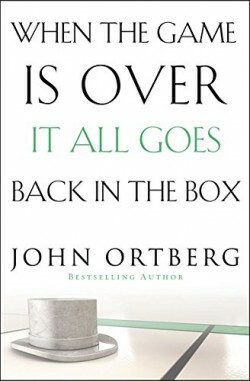 But what happens after that, asks John Ortberg? You know the answer: It all goes back in the box. You don’t get to keep one token, one chip, one game card. In the end, the spoils of the game add up to nothing. Using popular games as a metaphor for our temporal lives, this book neatly sorts out what’s fleeting and what’s permanent in God’s kingdom. Being Master of the Board is not the point; being rich toward God is. Winning the game of life on Earth is a temporary victory; loving God and other people with all our hearts is an eternal one. Using humor, terrific stories, and a focus on winning ‘the right trophies,’ Ortberg paints a vivid picture of the priorities that all Christians will want to embrace. If you think you might need a better game plan – one that offers an eternal perspective – this strategy-filled playbook walks you through what it takes to really win big at the game of life. 14 Gospel Principles that can radically change your family. In this life-giving book, Paul Tripp offers parents much more than a to-do list. Instead, he presents us with a big-picture view of God?s plan for us as parents. 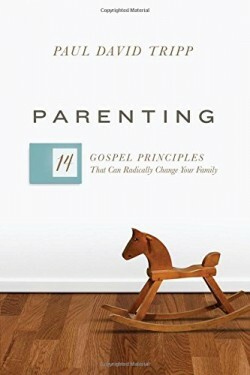 Outlining fourteen foundational principles centered on the gospel, he shows that we need more than the latest parenting strategy or list of techniques. Rather, we need the rescuing grace of God?grace that has the power to shape how we view everything we do as parents.